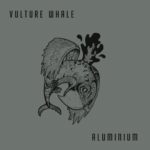 A rock and roll phoenix, Vulture Whale took flight in 2007, rising from the ashes of Alabama bands The Ohms and Verbena. Grounded as a recording unit since 2011’s Long Time Listener First Time Caller, the Birmingham quartet of Les Nuby, Keelan Parrish, Jake Waitzman and Wes McDonald is risen to bestow upon the world the corrosion-proof grooves of Aluminium. Set for release on 20 May via Cornelius Chapel Records, Aluminium features single “OYB,” a generous helping of Southern sleaze distilled to rock’s feral roots. Bucket Full of Nails is proud to premiere “OYB” for your listening pleasure. Stream the single below and pre-order Aluminium as a digital download on iTunes or as a vinyl bundle directly from the band here.